Jap.135 "Hearts that Communicate! Chibi Usa and Pegasus"
Rini is dreaming of Pegasus and asks him why he won't trust her and let her tell the others that she knows him. Pegasus tells her that he's sorry and that he can't be her friend. In the Dead Moon Circus tent Zirconia informs the Amazon Trio that the Pegasus they see in this world is in fact just his shadow and that his real form exists in the world of dreams. This inspires Tigerseye to find the Lemres, Heavy-head-a-peeko who has the ability to enter dreams through people's shadows. He explains to her that they have to capture Pegasus and she tells him that once she corrupts the owner of the dream he's hiding in, Pegasus will be theirs. Rini meanwhile is outside drawing an assignment for her art class. Her two friends are impressed by her landscape which includes Pegasus in the middle. It's actually very good! Her teacher, Miss Marino sees it though and tells her that she can't let her pass because their assignment was to draw the landscape and not use their imagination. This upsets Rini and makes the teacher moody. Later that day, Serena and Rini run into the teacher while shopping. The teacher seems depressed and comments to herself that she wishes she could make friends as easily as Rini. By pure chance the teacher has been targeted by the Dead Moon and Tigerseye once again is sent to inspect her Dream Mirror. He disguises himself as a fortune teller and she begins to open up to him about her self doubts about her teaching. He quickly becomes bored and reveals his true self and straps her to the board to summon her mirror. Nearby, Rini and Serena are heading home when they run into Darien. Suddenly they hear Miss Marino being attacked and transform. They run to her aid. Tigerseye who has already checked Miss Marino's dream, summons Heavy-head-a-peeko and then departs. Super Sailor Mini Moon uses Crystal Twinkle Bell to summon Pegasus but as soon as he appears, Heavy-head-a-peeko flies towards him and enters him, going straight into Super Sailor Mini Moon's mind as she is the one that Pegasus is hiding in. 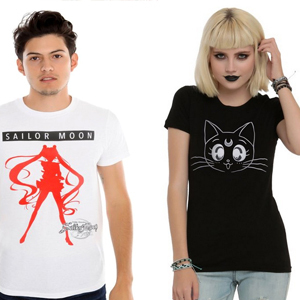 Super Sailor Mini Moon's eyes go blank as her mind is invaded. In her mind, Heavy-head-a-peeko tries to tempt Super Sailor Mini Moon with a harness to place on the frozen Pegasus and tells her that if she does so she can control Pegasus. Super Sailor Mini Moon tells her that she doesn't want to control him, she wants to be his friend. She then yells for her to get out of her mind. Pegasus is suddenly freed and expels the Lemres from Super Sailor Mini Moon's dream. Back in the real world, Super Sailor Moon sees the Lemres and defeats it with Moon Gorgeous Meditation. Soon after, Miss Marino now remembering her dream to be a good teacher tells Rini that even though she can't pass her in the activity she actually loves her painting. She telles Rini that she'll see her in class and walks away motivated. That night, a mystical item, the Stallion Reve materialises in Rini's room. It begins to glow and Pegasus appears in it. He tells her that he wants to be her friend too and that they can now talk any time that they wish. Rini is happy but tells him to wait a second as she changes into her pajamas. This makes Pegasus uncomfortable and he blushes. Rini doesn't understand what's wrong. Once clothed, Rini tells him that he must have a real name and asks him what it is. Pegasus apologises and explains that he can't tell her yet. This doesn't bother Rini who is thrilled to have him as a friend finally. Heavy-head-a-peeko was the first Lemres we got to see recruited before heading out into the field. She have very useful powers in this instance, the ability to enter dreams. 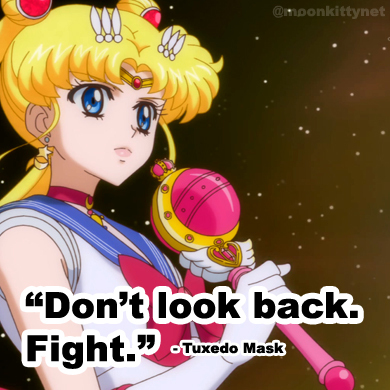 Unfortunately she was defeated by Super Sailor Moon's Moon Gorgeous Meditation. Something that happens quite a bit throughout the anime though is very noticeable here is the selective aging of Rini. While on the street and especially in Super Sailor Mini Moon mode she appears to be in the physical body age range of 8 - 12 years old yet whenever she's in the bath or bedroom she seems to revert to her Sailor Moon R physical age of 5 years old. This is obviously an artistic visual decision though and not a plot point by any means. This episode gave us our first appearance of the Stallion Reve.